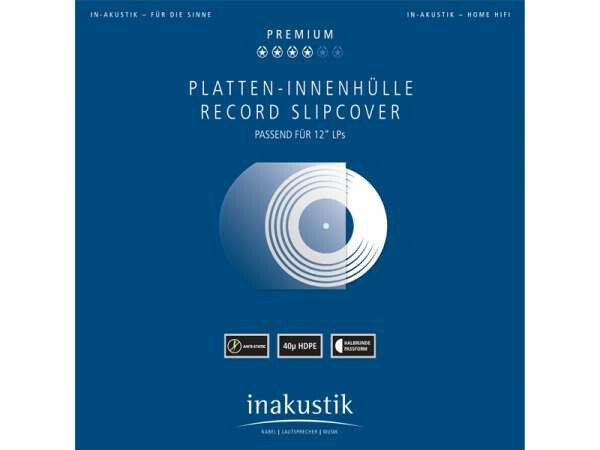 The Premium record inner covers protect the record from dust and other impurities. They are made of antistatic HDPE (high density polyethylene), which prevents electrostatic charging of the vinyl. This prevents the attraction of new dust particles and reduces crackling noises during playback. A special advantage is the special format. Due to the rounding on one side, the inner sleeves can be ideally inserted into LP covers and paper sleeves. This is especially interesting for collectors who want to keep the original inner pocket. Customer evaluation for "LP-Innenhülle 1 Set (50 Stck.)"